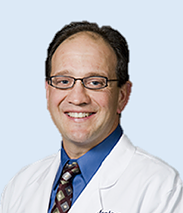 Dr. Roberto Ferraro is a board-certified urologist practicing in Charlotte, NC. Get to know Dr. Ferraro better by reading the spotlight interview with him below or read his complete bio here. What was your main motivation in becoming a doctor? When did you decide on this path? I was always interested in medicine but growing up, my parent’s best friend was a physician and I always looked up to him. How did you decide on your particular specialty? Why urology? My father suffered from recurrent kidney stones. When I did a urology rotation in medical school to see if I could learn something to help him, I became hooked and decide to pursue it as my specialty. What is your favorite part about being a physician? When did you first learn about HIFU as a treatment for prostate cancer? I learned about HIFU about 7 years ago when I decided to train offshore before it became approved in the US. When did you become involved in treating patients using HIFU technology? I started treating patients about 6 years ago in Cancun but my HIFU practice really picked up after it was approved by the FDA in October 2015. Want to explore other HIFU Physicians? Check out more spotlights here. Why did you initially become interested in HIFU as a treatment for prostate cancer? I became very excited about the technology when I saw its application for focal therapy. I perceived it as the first true focal treatment for prostate cancer. What do you typically tell a patient when they are first diagnosed with prostate cancer? I will typically tell a patient that even though they have prostate cancer it is likely that they are curable and share their options. I love when they are candidates for HIFU so I share it as an option. What different types of treatments do you offer men with localized prostate cancer? In your professional opinion, what are the benefits of HIFU as a treatment for prostate cancer? Above all else, I see the benefit of HIFU as excellent cancer control with very minimal side effects, especially erectile dysfunction and incontinence. How do you decide if HIFU is right for a patient? Even when a patient is an ideal candidate for HIFU, I discuss all options with each patient and assist with helping them to decide which treatment is best suited for them. In general, how quickly do your patients recover after HIFU? What do you tell men to expect? Quick recovery is one of the great benefits of HIFU and I tell patients that HIFU has the quickest recovery and they can be back at work or on the golf course typically in a few days. There are obviously a lot of different treatments for prostate cancer; where do you think HIFU best fits in the prostate cancer landscape? While many men may be candidate, I think HIFU is best suited for younger men with focal disease who want to minimize side effects with excellent prostate cancer cure.